Racking up those give-back hours this summer, I’m working on the Reduce, Reuse, Recycle realm – wrapped up in the all-important education component. I started a compost bucket a few weeks ago at work. It was something I thought about for months, but I wasn’t sure how well-received it would be. Some people think, “oh gross!” when compost is around, but I thought “what the heck, let’s try it!” All my worries about smell, bugs (fruit flies) and anything else that might turn my colleagues sour have so far been non-existent. Fingers crossed we continue to have zero problems. Granted, it’s mostly used for coffee grounds and only minimal food scraps. 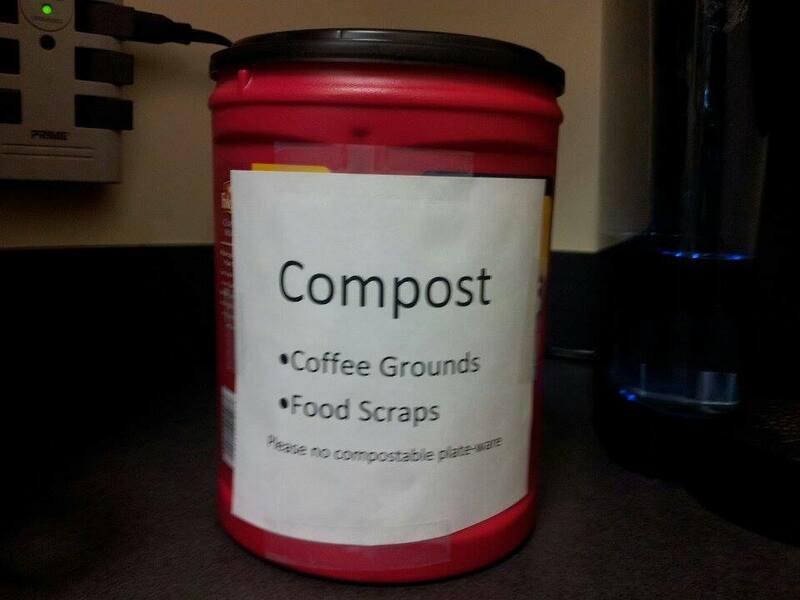 Working in Lake Oswego, I thought there wasn’t a compost program, but good news, they recently adopted one! For now it’s easy to take the re-used coffee container (I love repurposing), every Friday and throw in my compost bin at home, but I have a future commercial composting project on the to-do list. Info on the program: here. 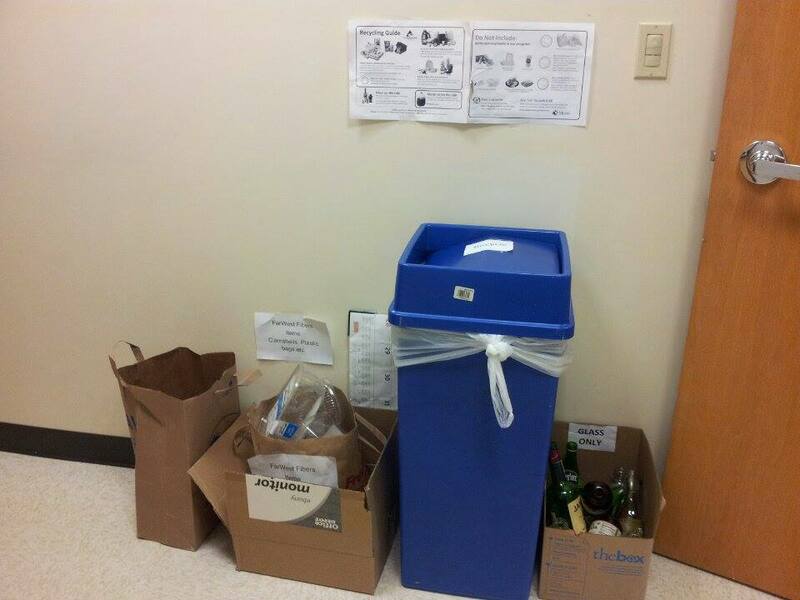 In just three weeks, we have diverted 8lbs of compostable items from the landfill (we are a small office). 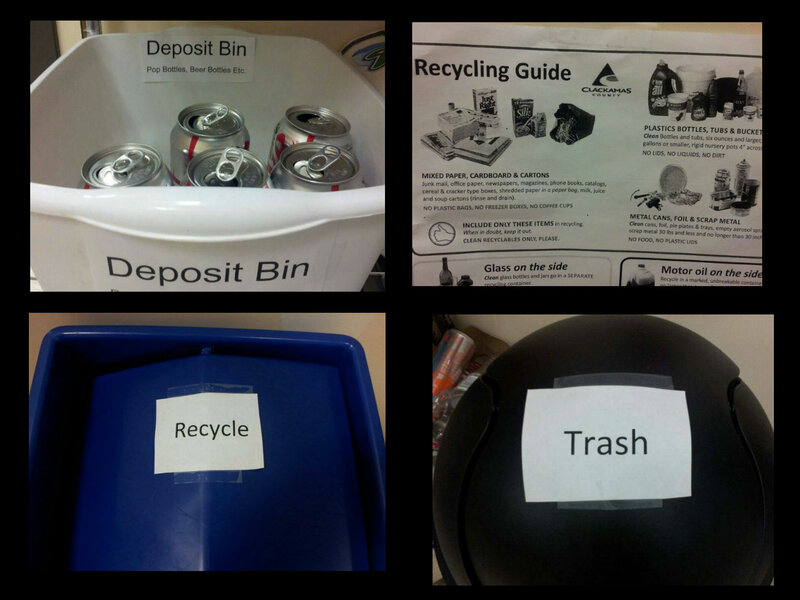 My recycling efforts in the office are going along smoothly. We have nearly everyone doing their best to place items in the appropriate bin. 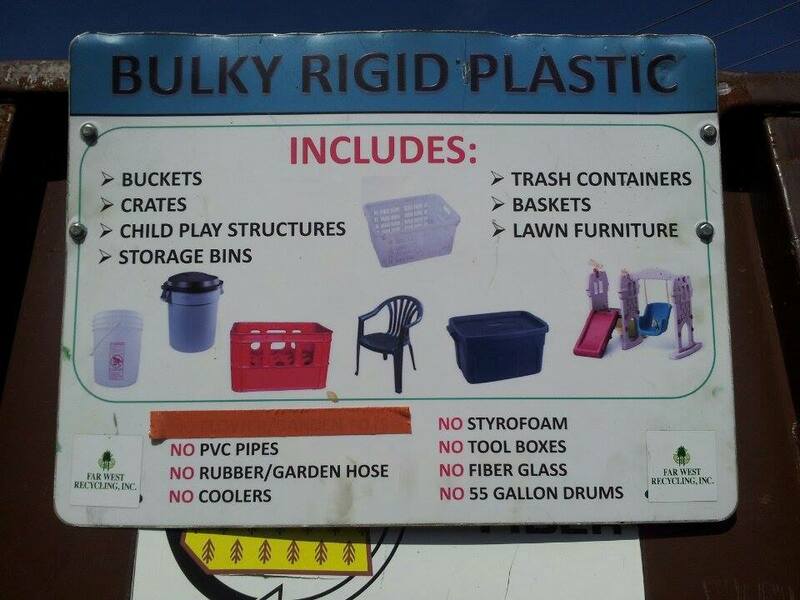 I take materials to the Far West Recycling (formerly known as Far West Fibers) center about once a month. I throw it in with our household pile, so it’s not a lot of extra work, and it’s satisfying to see it diverted from the trash. All the clamshells (before my co-workers knew better), used to go in the recycling – yikes! I now have 51.25 hours logged for the Master Recycler program. I’m half a Centurion! Master Recyclers assist with managing the waste prevention volunteers, ensuring they are educating the public on how and where to place trash, compost and recycled materials. 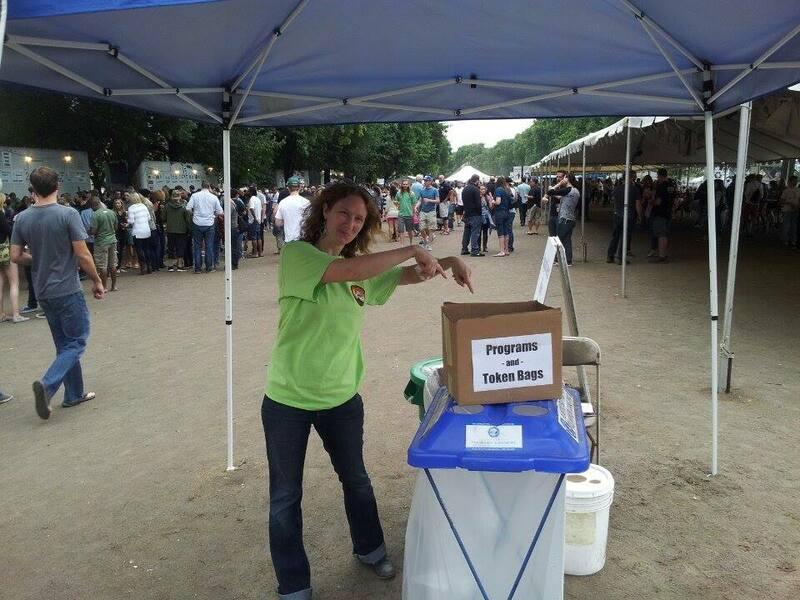 This year the festival wasn’t able to compost the plate ware since the ban is now in place, so I didn’t think the rate of landfill diversion would be very high…but Mitzi, waste coordinator for the event, rocked it out in other ways. Way to go Mitzi and the Waste Prevention Crew! 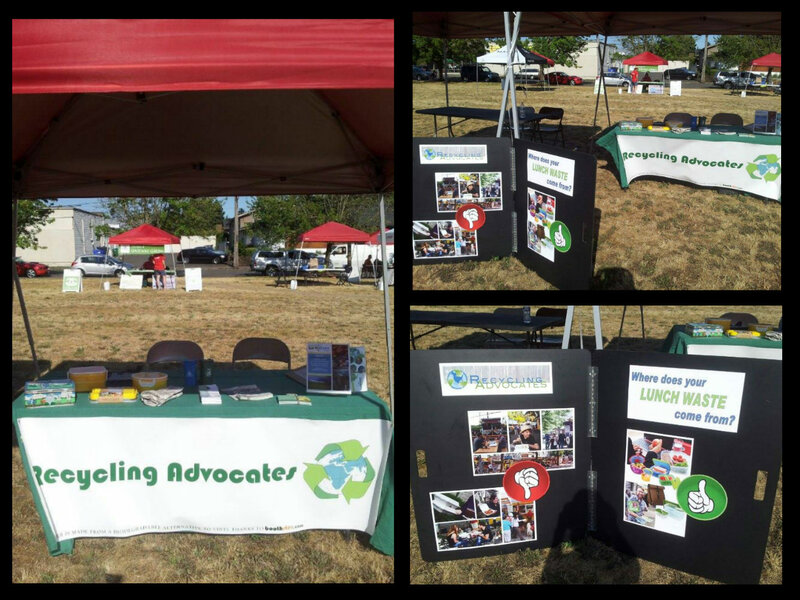 I joined the Recycling Advocates board this spring and had the pleasure to table for the non-profit a couple of weeks ago in the Hazelwood community fair at the soon-to-be-developed Gateway Park. It was one of those 100 degree days resulting in a small turnout, but I did receive the surprise gift of seeing a friend whom I have not seen in years, so it was well worth my time! She works for Friends of Trees (Portland has SO many great non-profits) and our tables created the eco-corner. Want to learn more about Recylcing Advocates, or simply passionate about recycling and living an eco-friendly life? This event is free and open to all Recycling Advocates members and friends. 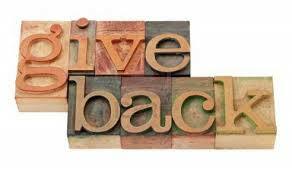 We’ll provide food and drinks from our friends at Laughing Planet and Lucky Lab. 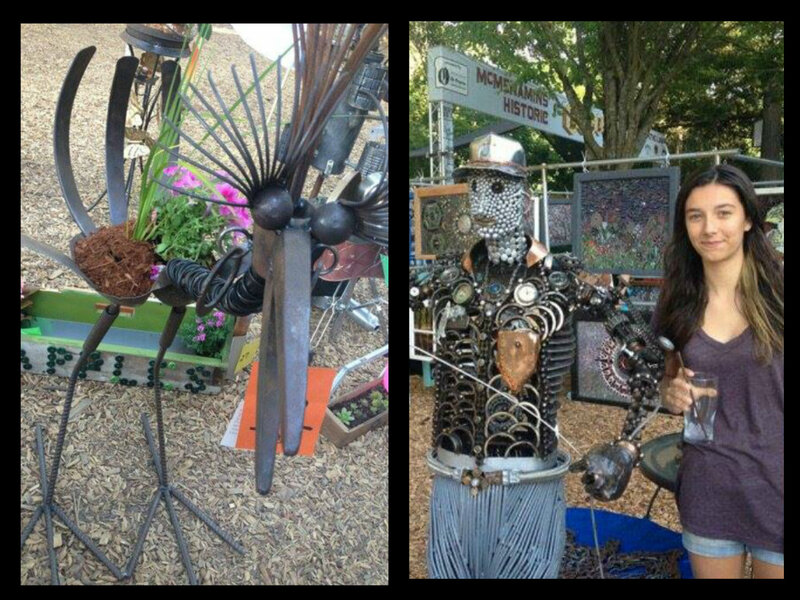 Finally, to round out mid-summer, my daughter and I checked out the Recycled art show at Edgefield McMenamins for a couple of hours one night. Pretty impressive stuff!